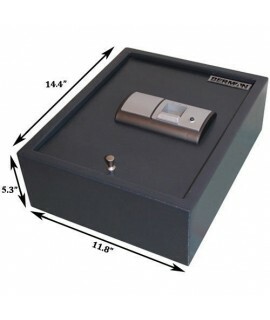 Impeccable for protecting your valuables, this is our smallest safe with dimensions of 11.75" (H) x 16.5" (W) x 14.25" (D). 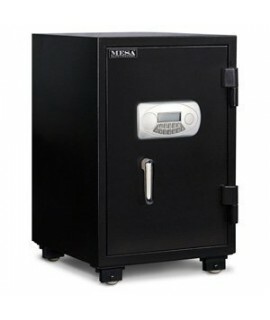 MESA fire safes are made from solid steel construction and have a UL listed 1 hour fire rating. The door has is 4” thick with fire resistant material, and has large 1” diameter locking bolts. The body has an overall thickness of 3.5”, and a 2 story impact rating. Save your most important items from the effects of fire and theft with a MESA safe today! 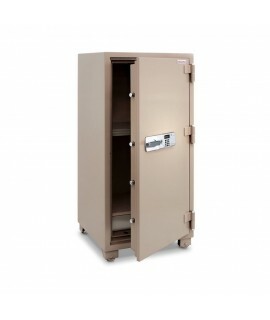 This large safe is wonderful for keeping all of your most valuable items safe. It is a fair size, with dimension of 19.125" (H) x 13.5" (W) x 15.75" (D). 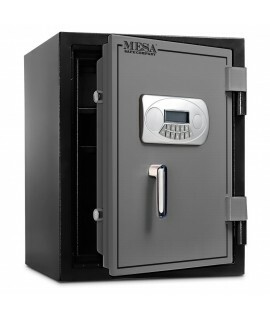 Like all of our MESA fire safes, it is built with solid steel construction and has a UL listed 1 hour fire rating. The door has an overall thickness of 4”, enormous 1” diameter locking bolts, and has fire resistant material. The body has an overall thickness of 3.5”, and a 2 story impact rating. You will be happy knowing your valuables are protected from the risks of fire and theft. Measuring 20.875" (H) x 18.125" (W) x 18.875" (D), you will have plenty of space to store your most important items and documents. 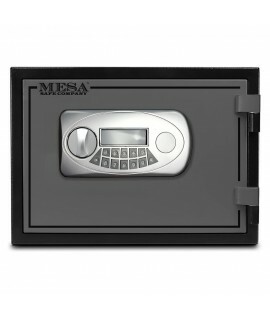 MESA fire safes have all steel construction and come with a UL listed 1 hour fire rating. The door is 4” thick and comes with large locking bolts, and massive 1” diameter locking bolts. The body has an overall thickness of 3.5”, and contains fire resistant material, keeping your valuables protected from fire and extreme heat. It also has a factory tested 2 story impact rating. 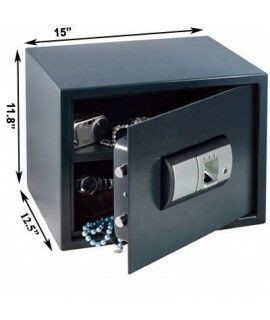 Enjoy the extra security by using this safe to protect your most important items! 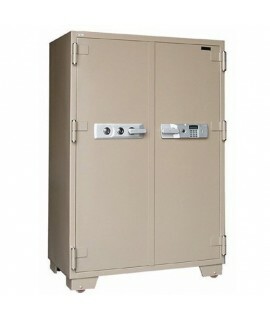 This is one of our biggest UL listed 1 hour fire rating safes, with plenty of room to keep all of your valuables safe. It has solid steel construction, with dimensions of 23.625" (H) x 18.875" (W) x 18.875" (D). The thickness of the door to the safe measures 4”, and the locking bolts have a large 1” diameter. The body has an overall thickness of 3.5”, encloses fire resistant material, and has a 2 story impact rating (factory tested). 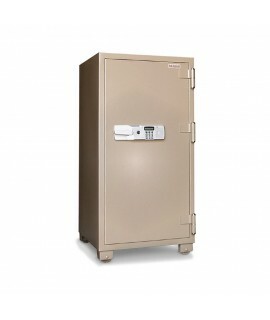 Keep your most important items protected from theft and the effects of fire and heat with this sturdy MESA safe. 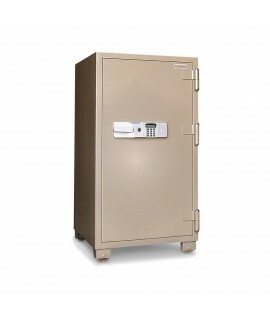 This safe is our largest 1 hour fire rating safe with dimensions of 27.5" (H) x 19.75" (W) x 19.25" (D). Sleep better at night knowing all of your important items are protected with this MESA fire safes, built with all steel construction. The door has an overall thickness of 4”, has 1” diameter locking bolts, and contains fire resistant material. The body has an overall thickness of 3.5”, and has a factory test 2 story impact rating. Your valuables will be saved from the effects of extreme heat/ fire and theft. With an expanded height and width for even more storage, these fingerprint safes are perfect for laptops, guns, as well as smaller personal items. No more lost keys or forgotten codes…. the safes open with the touch of your finger! Extremely fast and easy operation, even in dim light conditions. Records up to 100 fingerprints. Elegant and stylish design. Ideal for files or larger personal items. No more lost keys or forgotten codes… your fingerprint will be recognized in less than one second! Advanced biometric technology and elegant design combine style with security. Removable shelf included for added convenience. Store your most important documents and valuables in this MESA fire safe, protecting it from extreme heat and fire, as well as theft. 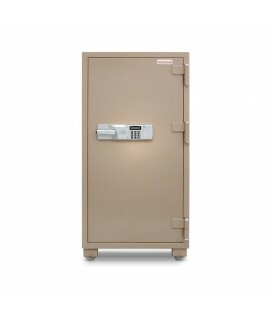 Constructed with solid steel, this safe has a 2 hour fire rating, as well as a 2 story impact rating. 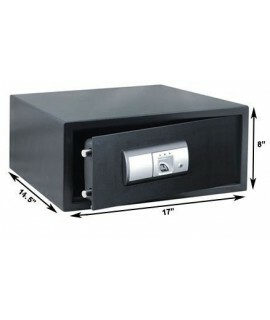 The dimensions on this safe are 39.38" (H) x 23.63" (W) x 21" (D). The door measures a thickness of 4”, enclosing fire resistant material, and has 1” diameter locking bolts. You will sleep well at night knowing your items are protected in the best way possible. 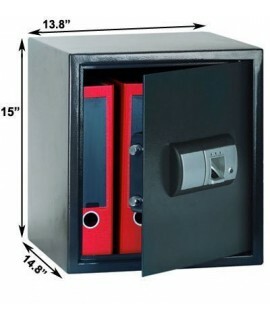 Perfect for home or office, this fire safe was built with solid steel construction and has a 2 hour fire rating. The safe measures in at 47.5" (H) x 27.63" (W) x 25" (D). The door has an overall thickness of 4”and has massive 1” diameter locking bolts. The material inside the safe is fire resistant. The body has an overall thickness of 3.5”, and is built to protect up to a 2 story fall. Look no further for the best way to protect your valuables from the effects of fire and theft. Perfect for storing your most important items, the steel strength on this safe can last forever. Dimensions are 55.13" (H) x 27.63" (W) x 25" (D). The door has an overall thickness of 4”, enclosing fire resistant material, and 1” diameter locking bolts to ensure against door removal during a burglary. 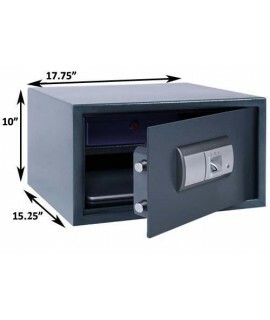 The body of the safe is 3.5” thick, and has a 2 story impact rating and a 2 hour fire rating. Enjoy knowing your valuables are safe from both fire and theft. Perfect for protecting all important items, MESA fire safes were built with solid steel construction and have a 2 hour fire rating. The door has an overall thickness of 4”, enclosing fire resistant material, and massive 1” diameter locking bolts. The body has an overall thickness of 3.5”, and a 3 story impact rating. 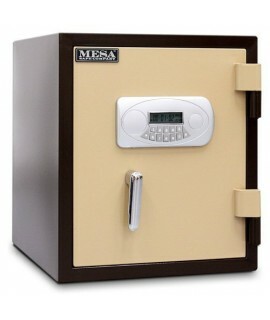 Protect your valuables from the effects of fire and theft with a MESA safe today!